Is there anything sadder than an empty-handed picker? Order picking – the most labor-intensive component of the order fulfillment process – can grind to a halt when product is unavailable to meet picking station demand. Getting caught short creates a cascade of scheduling problems at the picking station, and the obstacles accelerate further down the line. Costs go up, productivity goes down, and employee morale and momentum suffer. On the other hand, getting too far ahead of pick demand without the right equipment just gets in the way and causes its own set of issues, including dangerous and disorganized work areas, awkward and unsafe retrieval motions, and wasted travel time and effort. Why is the replenishment function so often the sticking point in order fulfillment’s product flow? Minimize the number of replenishments (commonly called touches) needed. Optimize the size and placement of pick faces. 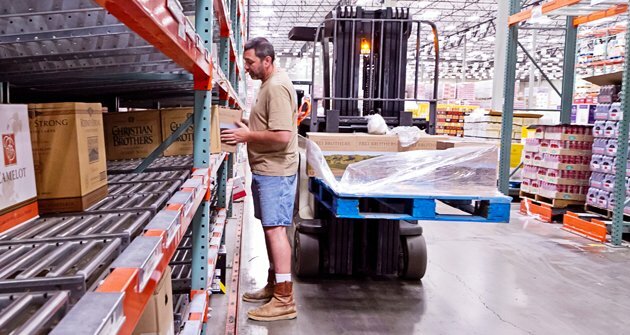 Streamline replenishment processes to ensure seamless active picking and inventory management, including compliance with FIFO and LIFO requirements. The goal is to identify and implement slotting systems that support a logical, yet flexible, balance of replenishment methods. The ideal solution will suit the rhythm of your operation, including seasonal variations, as well as anticipate the requirements of future demand. Finding and maintaining replenishment equilibrium takes real-time data, careful analysis and adaptable technology and equipment. UNEX can design a customized solution for you that boosts your storage density while keeping products at the point of pick, reducing the number of touches required to replenish each pick face and allowing pickers and stockers to work simultaneously without interruption. Our solutions allow you to stay ahead of demand without increasing dangerous and wasteful clutter in your work areas.